As the demand continues to grow for flights to Huatulco (HUX) we have decided to dedicate ourselves to help you fly here with ease. 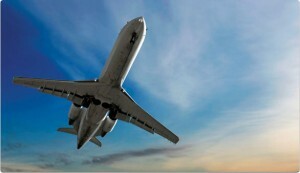 Every season there are more and more flights from Canada and the United States. It can be confusing to find the perfect mix of schedule and price but we hope these tops will help you. TIP #1 – Shorter Stays: When booking a stay longer than 1 to 2 weeks some airlines will offer more flexibility but for the shorter stays it is wise to use the search sites and to go directly to the airline sites since some search sites do not have deals with all of the airlines that come to Huatulco. Sunwing may not always be the best choice but worth a look. Air Transat tends to offer more flexibility on longer stays. Air Canada flies direct to Huatulco from Toronto twice a week. United is another great option from the US or Canada via Houston with flights 7 days a week. Lastly (and we’re pretty excited about this!) Westjet flies direct to Huatulco twice a week from Calgary & Toronto and once a week from Vancouver and Edmonton. 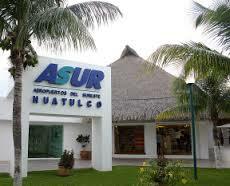 You can get more information about which airlines service Huatulco from this site: Huatulco International Airport. TIP #2 – More Flexibility: Interjet is an airline name you need to remember if you want ultimate flexibility when travelling to Huatulco. They will not show up on an Expedia search so make sure to check flight options on their direct website. Interjet offers 2 to 4 flights a day from Mexico City to Huatulco and often allow you to arrive without an overnight layover. It is a great airline with roomy seating. They even offer a complimentary alcoholic beverage if you choose to indulge. TIP #3 – Package Trick: With Sunwing being a charter flight specific airline, often you will find they will advertise a higher price for ‘’flight only’’ because they want to sell their packages or sometimes ‘’flight only” will sell out. The tip is you can book a very inexpensive package and still rent a condo or participate in a Stay & Play for a very affordable price. Hotel Isla is a new hotel in Huatulco that offers affordable accommodations and often last minute packages can be booked for $700 or less. You of course are welcome to stay there, however we are also happy to help you with other amazing accommodations. TIP #4 – Back Up Plan: – Have a backup plan. When planning a trip to Huatulco watch the direct flights and wait for the price or deal you want. We often book our flights the week before we go but we always have a backup plan which involves a non-direct flight through Mexico City, Houston or Toronto. TIP #5 – Longer Stays: If you plan to stay more than 2 weeks, or are fortunate enough to spend 4 weeks or more, do not worry about booking your return flight home. I am sure now you are seeing the pattern that it is not wise to book a flight too far in advance or you are likely to pay more. Book an inexpensive flight to get down to paradise, enjoy some fun in the sun and keep an eye on your return flight later in the trip. We hope you found our tips helpful. There is word on the streets of Huatulco that the massive hotel chain, the Riu is going to start to build soon on the land they have already purchased in Tangolunda. With the addition of this 500+ room hotel and another shopping area being built we are sure to see more direct flights being announced. We know that WestJet is keeping their eye on the area and we hope the Riu is the incentive to finally bring them to the area. With a top emerging market like Huatulco, access can sometimes be a tradeoff to the low ocean front real estate prices. In any event if you need assistance finding flights to Huatulco we are always available to chip in our 2 cents…or pesos!